Businesses must manage all type of enterprise data as well as leverage it to become truly data-driven, but current enterprise data warehouse offerings often fail to meet these requirements. Solutions need to scale to meet these evolving demands, accommodate varied data types, ensure data governance and enable advanced analytics, all while remaining cost-effective. Without these capabilities, organizations risk falling behind the competition. 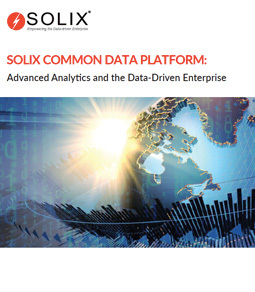 This paper explores how solutions like the Solix Common Data Platform empower data-driven enterprises to meet these challenges and seize the opportunities presented by the dawn of big data applications.